This race winning VD08/JL17, that has always been a Kent engined car, was supplied originally by John Loebell's Medina Motor Spoprt. It comes with an AIM data logger, Lifeline fire extinguisher, new bodywork and Ohlin shocks. The car comes fully race prepared and ready to go and win again. Wayne Poole Racing have looked after the car for the last 2 years although it has only been raced rarely, beigh Josh Fisher's spare car. It can be supplied complete with a low mileage race winning Barnett engine for �,500 or as a rolling chassis only for �,500. 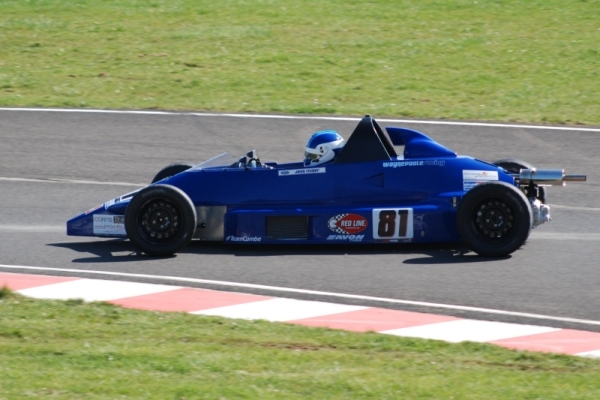 The 2015 Class C Castle Combe Championship winning Reynard 89FF is for sale as a rolling chassis. Following its successful 2015 season where it took many class wins the car has been rarely used and is in excellent condition. It is due to have new sidepods fitted shortly. A unique opportunity to purchase an exceptional car with an interesting history. It was originally built for Charles Barter for Hillclimbing use, taking a championship win. It was also driven successfully on the hills by Richard Homer, Roger & Scott Moran and Simon Durling. In 2008 it was converted to Historic FF2000 specification where it has raced ever since including some outings in the Dutch Monoposto series. The car has recently undergone re-build from the chassis up. 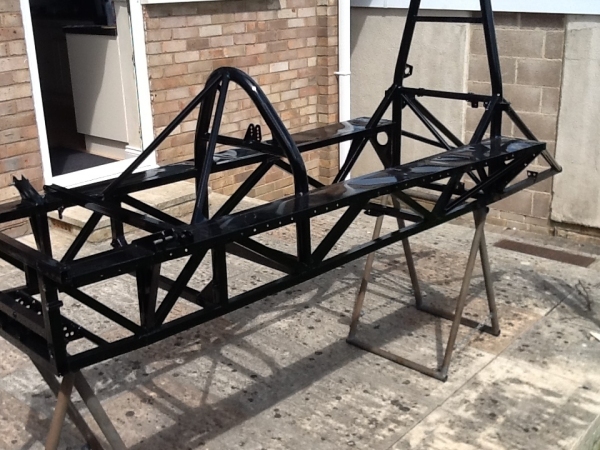 The chassis has been re jigged & powder coated and fitted with a new floor pan and bulkhead. 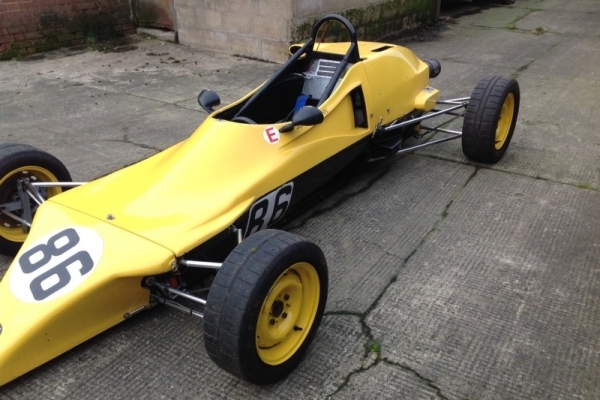 A rare example of a Formula Ford 1600 from the iconic Northern Ireland constructor Crossle. This 55F model dates from 1983 and received a full chassis and engine rebuild four years ago before being put in dry storage. It has recently been re-commissioned by WPR with new clutch cylinders, service brakes and an oil change. 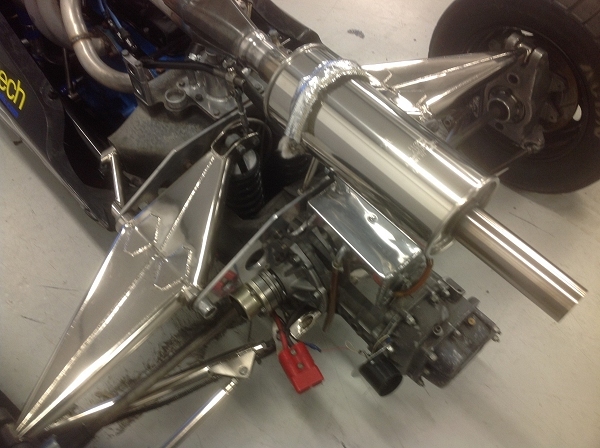 For circuit racing it will need an extinguisher and seat belts but these can be fitted for an additional sum. There aren't too many of these cars around so this gorgeous little car is both an investment opportunity as well as an enjoyable and competitive racer. Last raced at the Castle Combe HSCC meeting in April race early this year by Wayne Poole. The car has just been fitted with the following new items: quick release steering wheel, seat belts, all new brake pads, battery and a very expensive light weight fire extinguisher. It could benefit from a little TLC but can be raced as is. There are a spare set of rims and rear wing included in the sale. Please contact the team for more details. This is the ex Darcy Smith Championship winning, Nemesis 98 which has been run by Wayne Poole Racing and driven by Steve Bracegirdle in recent seasons. 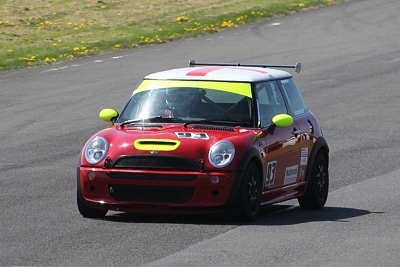 A very smart and fast car which has achieved podiums in the hands of Steve Bracegirdle, it is eligible for the BRSCC OSS Championship as well as Castle Combe GTs. It comes with a 255 bhp Vauxhall Red Top motor and is ready to win again in the right hands. Contact the team for more details. The Mygale SJ01/03, campaigned for the last couple of years by Calum McHale is for sale complete or as a rolling chassis. This car has a long and successful history. In the hands of Josh Fisher this car took 6 wins and 5 fastest laps in the 2008 Melton Concrete Products Castle Combe FF1600 Championship and still holds the class lap record at the track. With many wins in 2007 and a strong showing at both the 2007 (heat win) and 2008 (2nd in final) WHT meeting at Silverstone this must be one of the cars to have for the 2015 season. The car, originally an SJ01 model, has been in the Wayne Poole Racing stable for a number of years and following an intensive development programme in the hands of Josh Fisher early in 2007 it quickly became a regular front runner and race winner. The addition of the more aerodynamic SJ03 bodywork at the beginning of the 2008 season proved to be the final piece of the jigsaw resulting in a dominating year. Since then it has been used successfully by novice drivers Ash Clifford and more recently Calum McHale. 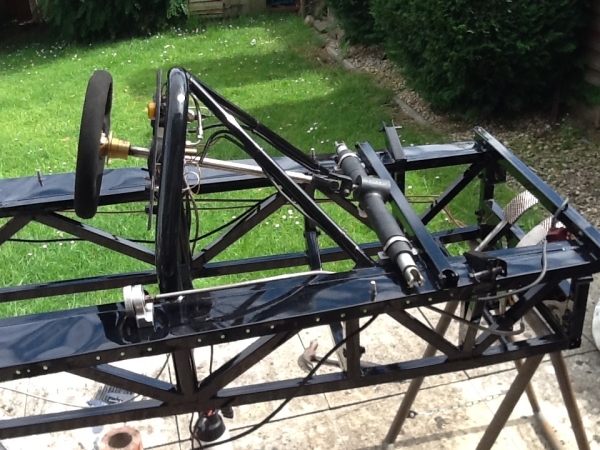 �995 complete or �495 as a rolling chassis. 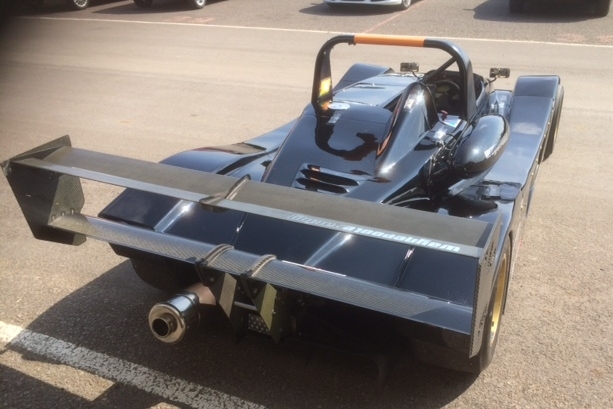 Here is an excellent opportunity to acquire one of the best Van Diemen RF88s to be found. It has only done a single test following a complete chassis up re-build which included a stainless steel floor tray, a new exhaust manifold & silencer and a full set of new bodywork. It has wide track front suspension. To round out the package the car comes with a low mileage Philspeed engine. An immaculate, competitive and race ready choice for the 2014 season. The Wayne Poole Racing Team are selling their Mini Cooper JCW. This is an ex Challenge car and has taken part in a few, selected Castle Combe saloon races over the past couple of years. It has an upgraded intercooler, a smaller crank pulley and is a very reliable race car, which can be raced in many championships. It is ready now for the new season. Please contact the team for further details and to arrange a viewing. The Nemesis GT is a popular and successful GT and this 2002 version comes fitted with a 2 litre, 265bhp Philspeed Vauxhall red top, which has covered 370 miles since rebuild. A Hewland FTR gearbox with paddle shift. Fresh Porsche riviera blue paint having only done one test. 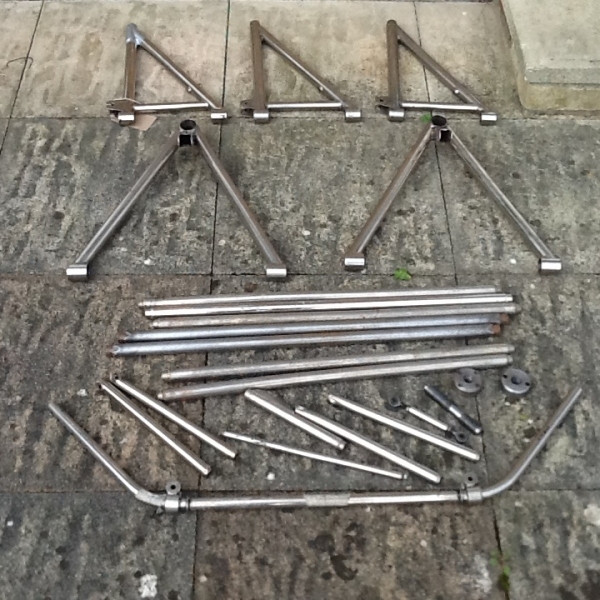 Carbon bodywork and moulds included. One set of spare wheels with brand new wets. This car is capable of lapping Combe in the low 1.03's and no expense has been spared on making this car right. This car is on the button and ready to race. Please contact the team for more details. Wayne Poole Racing have a Reynard 89FF rolling chassis for sale. 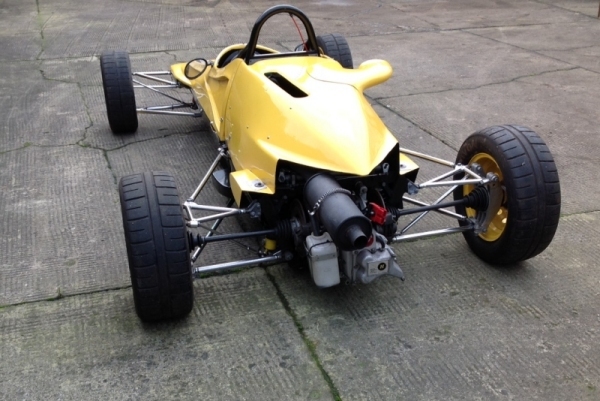 This is a rare opportunity to get hold of one of these highly sought after and successful chassis for the Pre '90 Formula Ford 1600 Class. 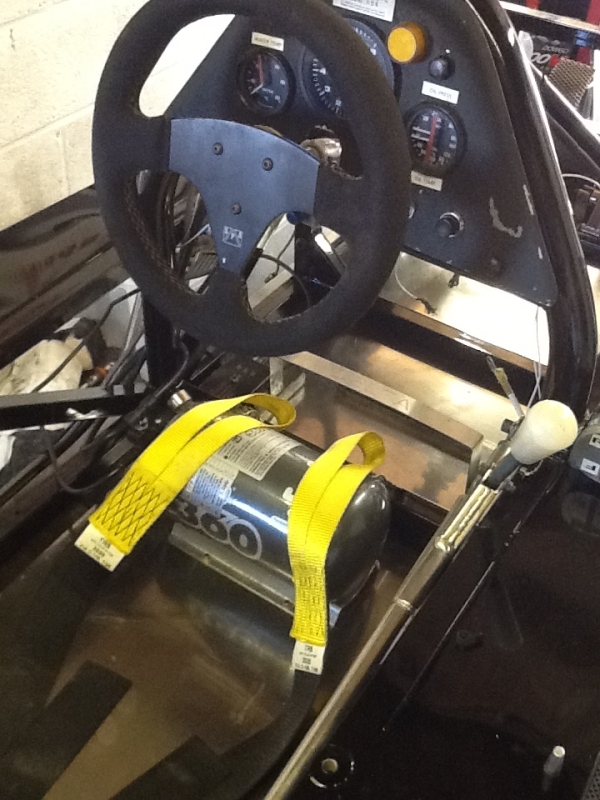 This chassis has a recently serviced fire extinguisher, in date safety belts, a Reynard/MK9 gearbox and, although not in concours condition, it is ready to race and win in the right hands. WPR would be happy to source and fit an engine and run it for the new owner subject to negotiation. The Hart GT sports car has suspension based on F3 RALT and comes fitted with a 255bhp 2.0 Philspeed Vauxhall engine, which has only covered 375 miles since comprehensive rebuild. Belts and extinguisher are in date and the car comes complete with body moulds. The car is ready for the new season. Please contact the team for further details. 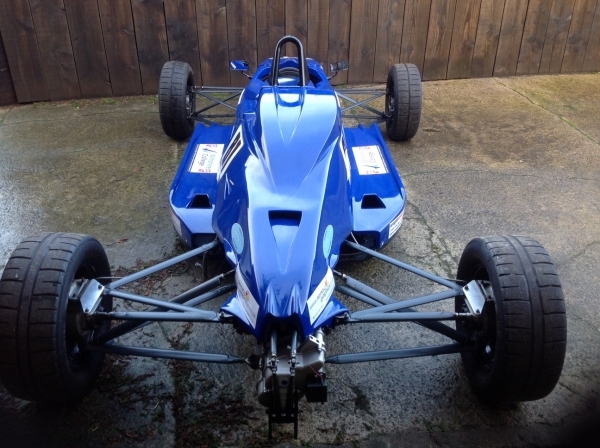 Ash Clifford's Mygale SJ01/03 is for sale. It is in excellent condition having had little use in 2011 except for the Walter Hayes where it easily made the semi finals. 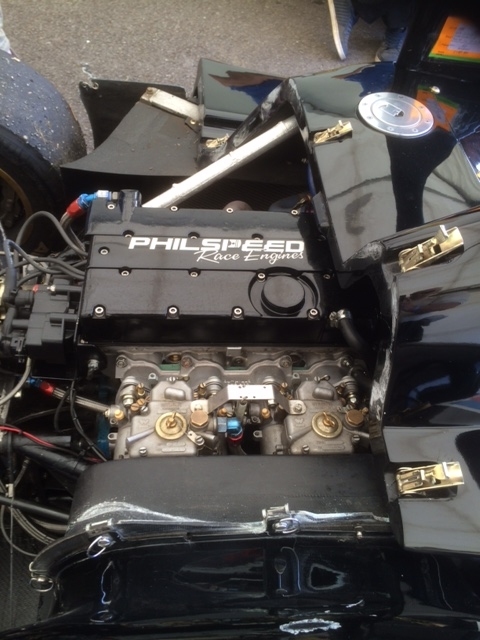 It is complete with a recently rebuilt Philspeed motor and serviced shocks. 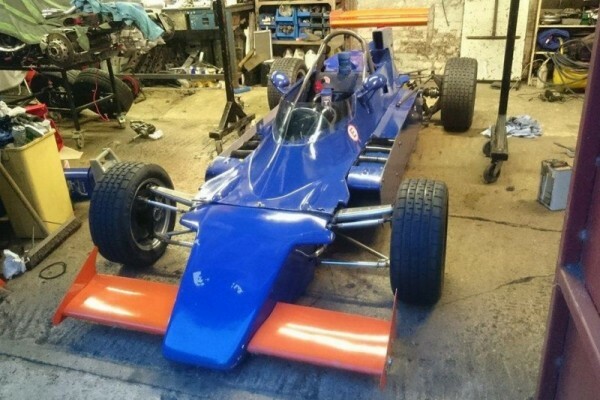 This is a unique opportunity to acquire one of the fastest and most successful Formula Ford 1600 cars in the country. In the hands of Josh Fisher this car took 6 wins and 5 fastest laps in the 2008 Melton Concrete Products Castle Combe FF1600 Championship and held the class lap record at the track. With many wins in 2007 and a strong showing at both the 2007 (heat win) and 2008 (2nd in final) WHT meeting at Silverstone this must be one of the cars to have for the 2012 season to compete in one of the Regional or the National Club FF Championships. The car has been maintained regardless of cost and is immediately available. Wayne Poole Racing would also be happy to continue their association with this car (and they probably have more experience of Kent engined Mygales than any other team) by running the car for the new owner at tests and events in 2012. 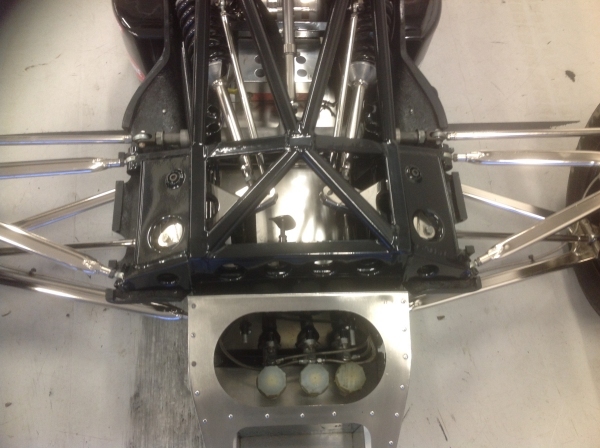 Soon to be available is a Swift SC93 Kent engined Formula Ford that the Wayne Poole Racing team have been giving a full chassis up rebuild incorporating many new parts. Further details will be posted shortly but in the meantime anyone interested can get in touch with the team via our contacts page. An excellent opportunity to purchase a potentially front running Pre '90 Formula Ford which has seen little use since a full rebuild. Vince Mann's Van Diemen RF89 has only has two tests and two races since a full chassis up rebuild by the WPR team including rebuilt shocks and a Philspeed engine. Avaialble now in time for the 2012 season. Wayne Poole Racing has for sale a Mygale SJ01, recently converted to full FF1600 Kent specifications. Reason for sale is that the current driver is too big for the car! However, the car is fast and has great potential following a very detailed conversion including design and chassis modifications from Jamun Racing. The car had a 'chassis up' rebuild at the start of 2008, including powder coated chassis and all new alloy panels. 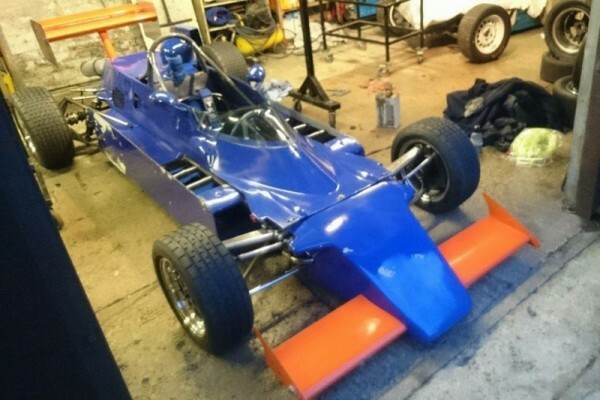 WPR are selling one of their team Van Diemen RF89 Formula Fords complete with a fresh (less than 100 miles) Philspeed engine. 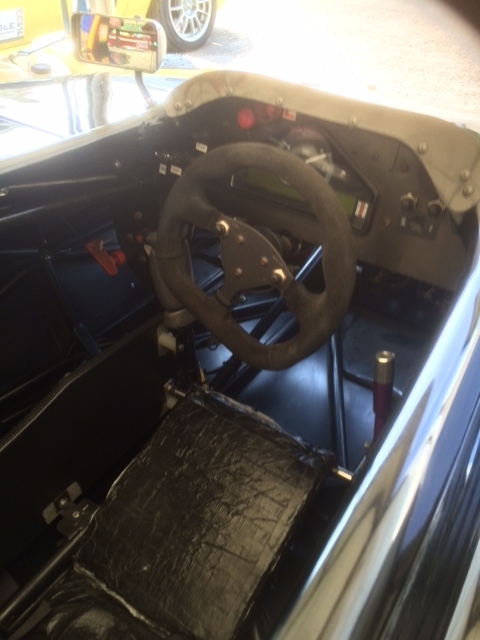 The car has recently undergoine a chassis up re-build with new floor and bulkheads as well as re-built shocks. The RF89 is one of the most competitive pre 90 cars around and Philspeed are the engines of choice for serious and successful competitors. This is your chance to get hold of a fully set up, race ready and competitive car for the end of year classics and 2012. 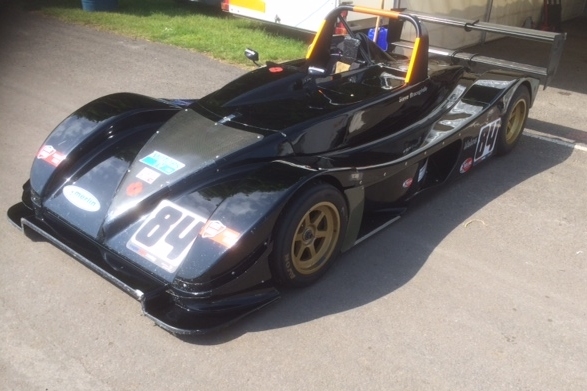 Des Andrews' WPR prepared Radical SR3 is for sale. It is powered by a 1585cc Powertec motor which has just had a full factory rebuild by Powertec and so is ready now for the 2011 season. It comes fitted with a data logger, long range fuel tank, air jacks, big rear wing. The car is being sold with spare wheels/tyres, transfer box, some suspension spares and some slight body damage which we estimate will cost about �00 to repair and paint . Be prepared in plenty of time for the 2011 season, with one of the fastest and best looking sports cars on the grid, for only �.500 ovno. One of the Wayne Poole Racing's Van Diemen RF88s is for sale. This car has been professionally maintained and is in race ready condition with a good engine. It was used in the 2009 season by newcomer, Ashley Clifford, who scored a number of Class C podiums in the car. 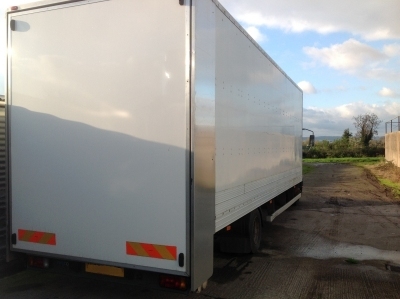 The chassis received a ground up re-build in January 2008, the safety belts and fire extinguisher are all within their expiry dates, it has alloy radiators and a new nose box was fitted recently. It is also fitted with wide track RF89 front suspension. This is a good chance to pick up a front running Class C car at a competitive price ready for the 2010 season. 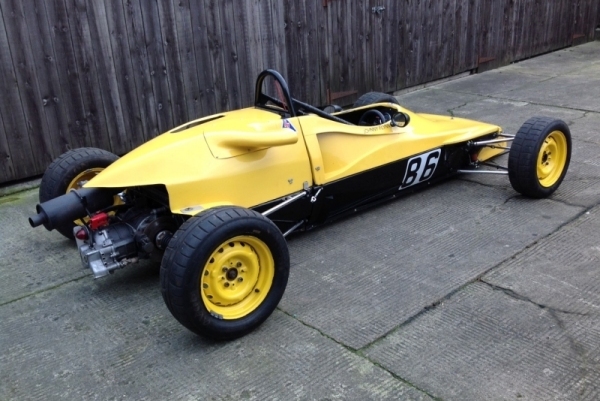 Tom Margetson's well known and successful Reynard 89FF is for sale as a rolling chassis. This car won the very competitive 2009 Class C Championship at Castle Combe. Most recently the car was driven by Josh Fisher at the 2009 Walter Hayes Trophy meeting where it achieved a fifth place and fastest lap in one of the Semi Finals. 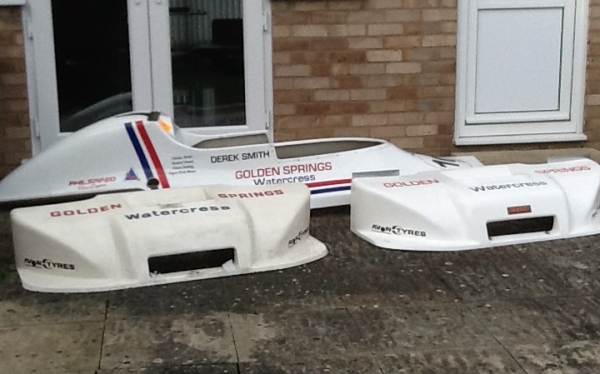 Spare set of Bodywork plus two extra side panels. This is a unique opportunity to purchase a Championship winning car ready for the 2010 season. Please call Tom on 07799130091 for more details.